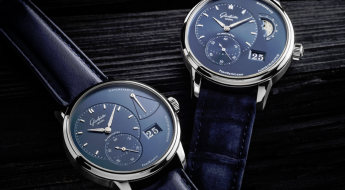 Back at Baselworld 2018 the German brand Glashütte introduced a couple of new dial colors, as the attempt to appeal to a wider up and coming markets of potential first time watch buyers. They opted to give some of their dress watches a slicker minimalist look, while still providing quite a few complications. 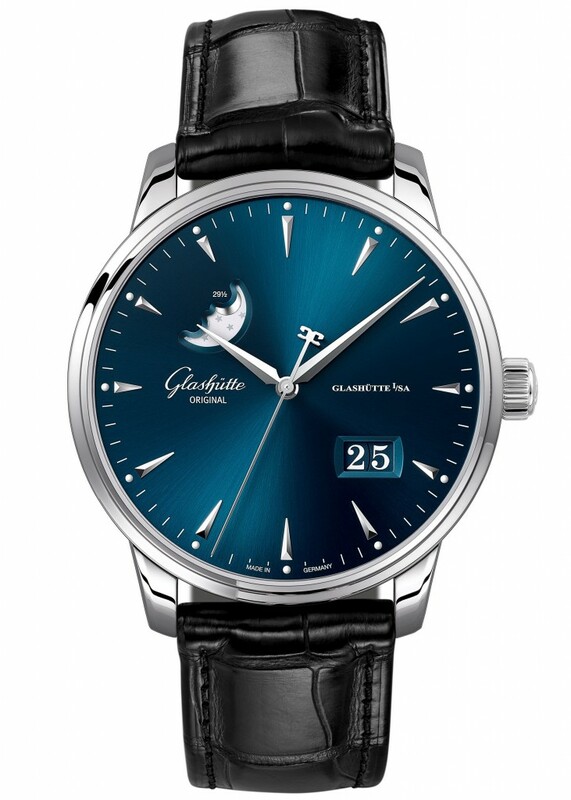 The result were these understated yet more than capable “Glashütte Original Senator Excellence Panorama Date Moon Phase”. 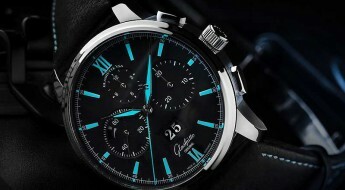 This “Original Senator” model line is not a novelty, they have merely expanded the available options for consumers with new colors schemes. Although, they have been steadily moving towards introducing more contemporary versions of their classic modals. 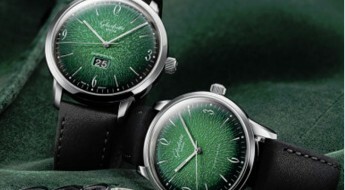 We’ve previously reviewed the Glashütte “Original PanoMaticLunar” (Ref#: 1-65-01-26-12-35) you can check out here; and the “Original Senator Chronograph Panorama” (Ref#: 1-37-01-03-02-35) you can read more about here. 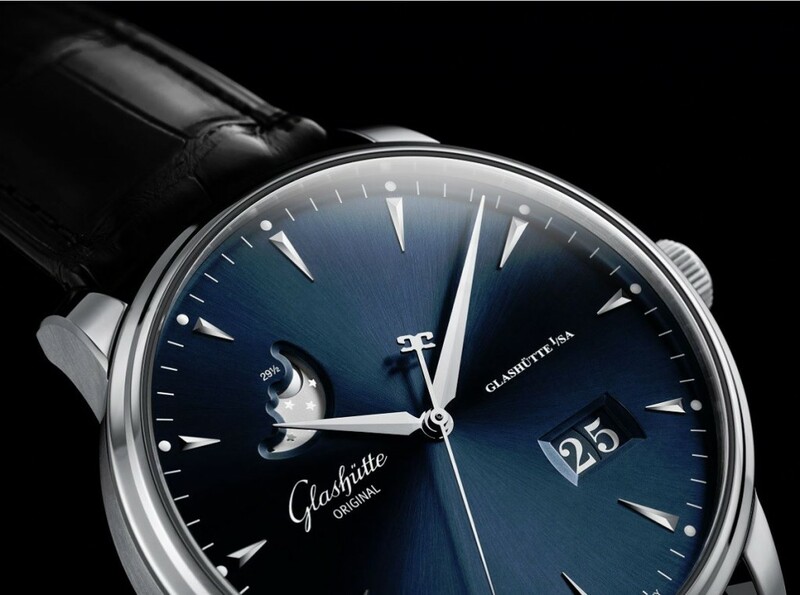 New these new “Glashütte Original Senator Excellence Panorama Date Moon Phase” come in a 42mm case made of stainless-steel with a transparent exhibition screwed-on case back, which allows to view the inner workings of the mechanical movement. 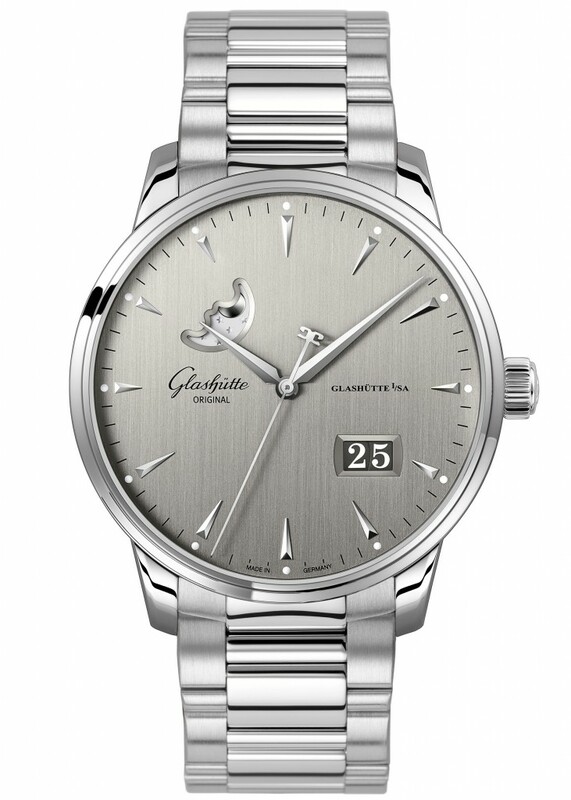 It comes equipped with a steel setting-crown that features a double G-logo and a worked bezel. Also features wide mid-range lungs for a comfortable wrist fit. 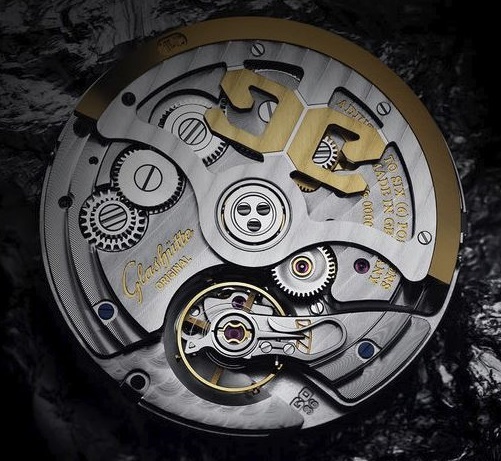 All topped by a sapphire crystal that also assists with water-resistance that can reach up to 50 meters (164 feet). Time is exhibited on a galvanized silver grey dial with vertically brushed finish, plus 18k white gold appliques hour index markers, followed by a ring of smaller black printed minute index markers with white square markers for every five-minute increment aligned with the hour index markers. 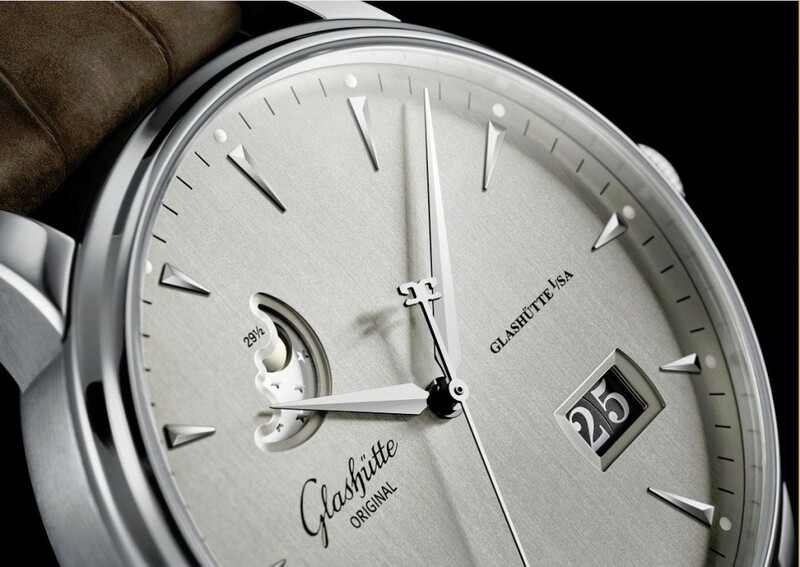 And the “Glashütte ORIGINAL” logo and “Glashütte 1/SA” inscriptions are printed in white. While the other available option has time exhibited on a galvanized blue dial with a sunray decoration, also with 18k white gold appliques hour index makers, but followed by a ring of smaller white printed minute index markers with the white square markers for every five-minute increment aligned with the hour index markers. 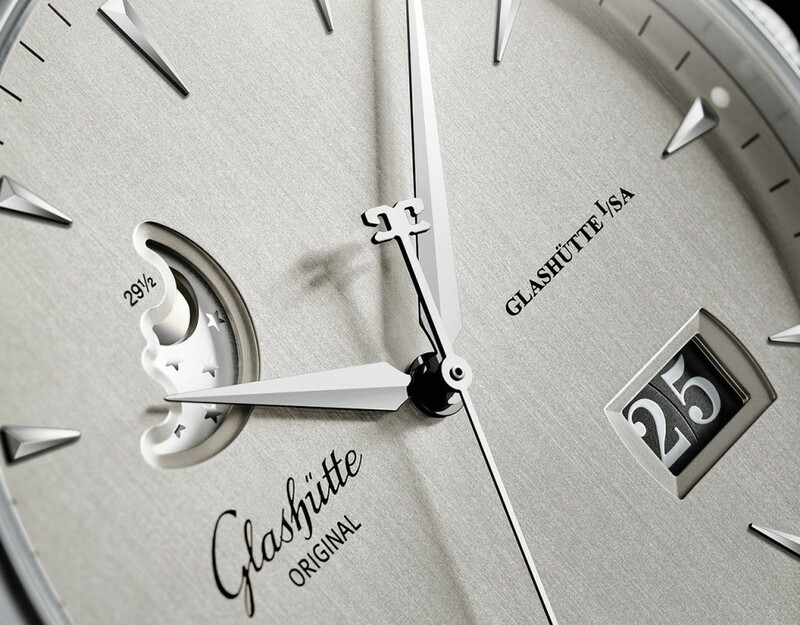 While the “Glashütte ORIGINAL” logo and “Glashütte 1/SA” inscriptions are printed in black. 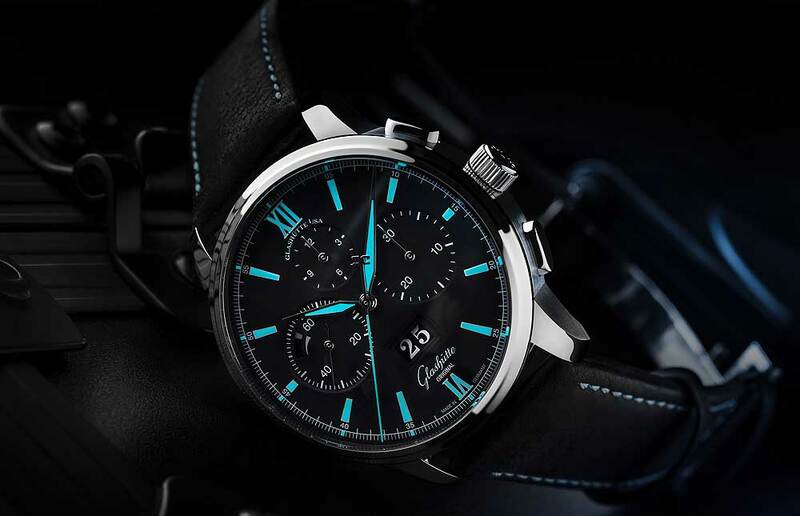 In common both dials include a large date aperture placed between the 4 and 5 o’clock positions. 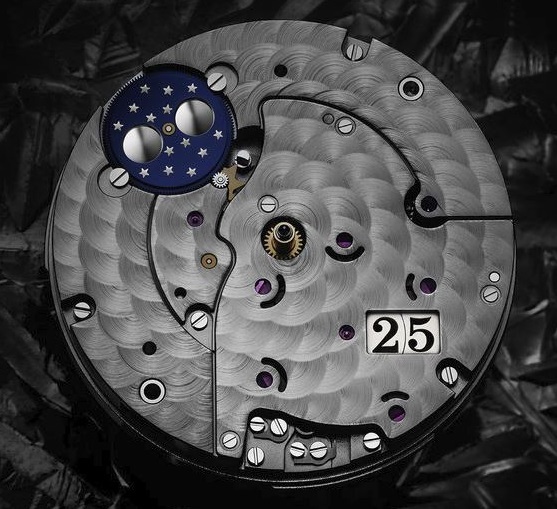 Plus a cut-out in a form reminiscent of a crescent moon, which is where the Moonphase disc has been incorporated, placed between the 10 and 11 o’clock positions. 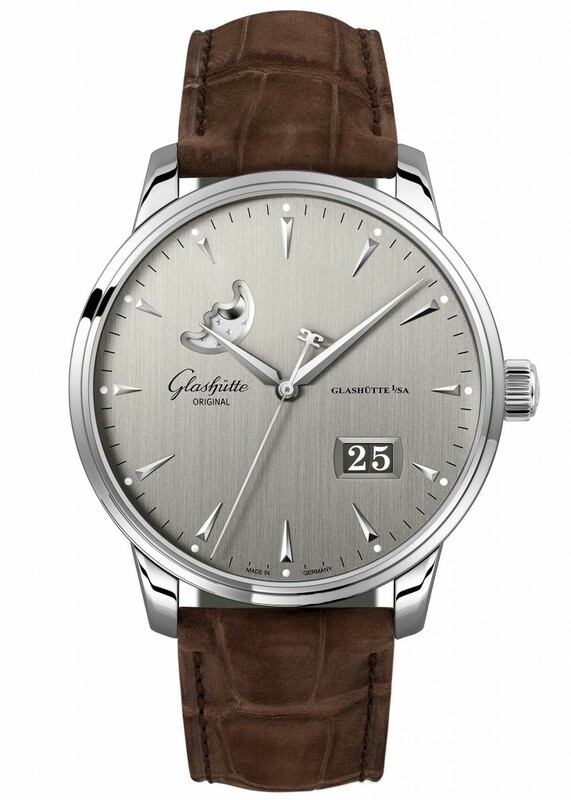 These new slick designs were all developed in Glashütte Original’s in-house dial manufactory in Pforzheim, Germany. 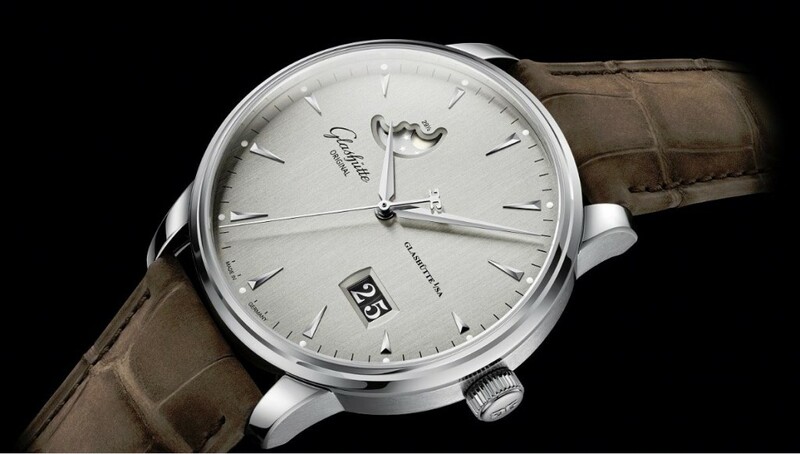 The central hands are rhodium-plated and the thin seconds hand features a sculpted Glashütte logo as a counter weight. The aforementioned small squares aligned with the hour index markers have been given a luminescent coating, for an enhanced legibility. 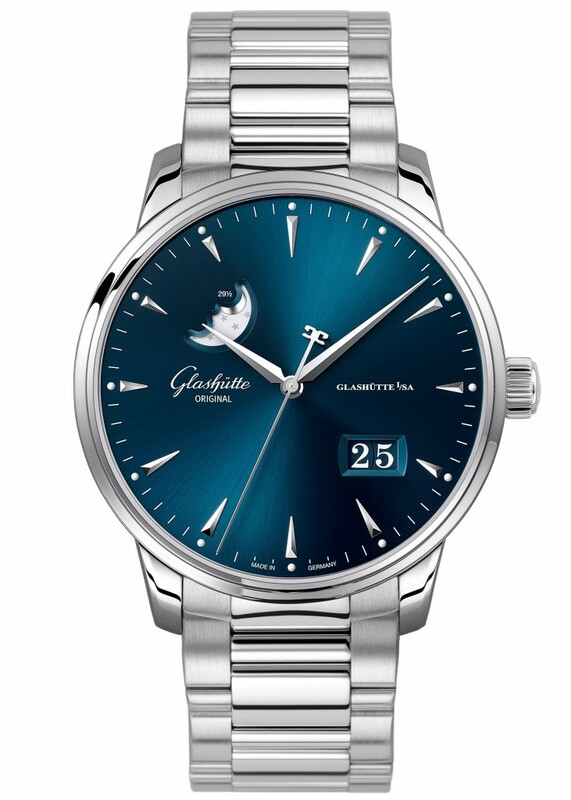 These “Glashütte Original Senator Excellence Panorama Date Moon Phase” (References below) are powered by a self-winding mechanical movement, caliber 36-04 with 43 jewels and 28,800 Vph. 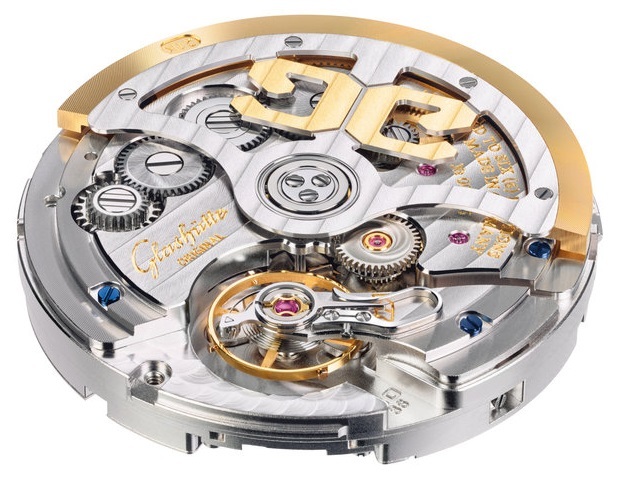 It comes equipped with: a three-quarter plate with stripe finishes, a silicon spring, fine adjustment by adjustment screws, a skeletonized rotor with 21k gold oscillation weight, polished steel parts, beveled edges, plus polished blue screws. 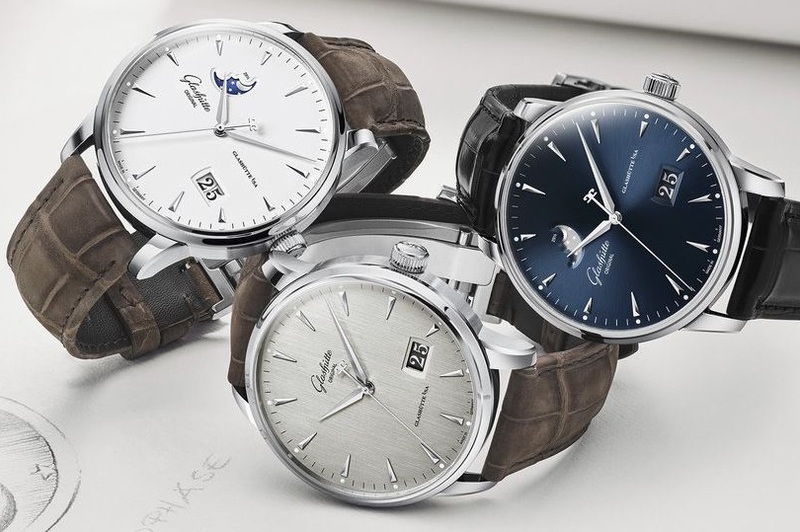 Power reserve on these watches can last up to 100 hours, when fully wound. Mounted to these watches is a Louisiana alligator nubuck brown (for the grey dial) or black (for the blue dial) leather strap, secured to the wrist by a stainless-steel buckle; or they can both be had on a stainless-steel bracelet, secured by a deployant clasp. 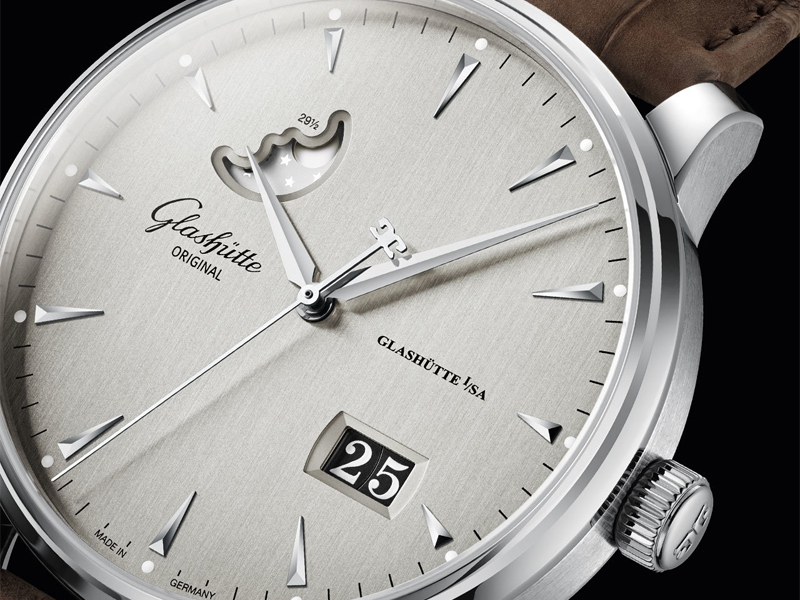 For more up to date information visit the official Glashütte website here.